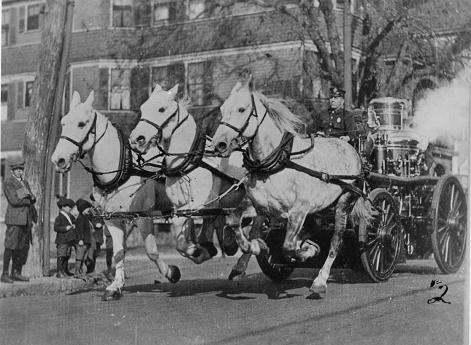 (Most of the information and images in this section are thanks to The Boston Fire Historical Society. Photo circa 1888. The front and rear towers stand in all their glory. 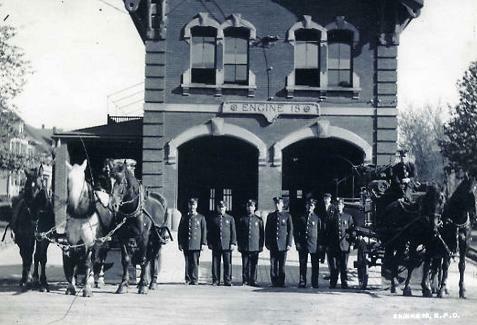 The horse stables on the left side of TE18 had not yet been built, and in the backyard, the original wooden firehouse was still standing. 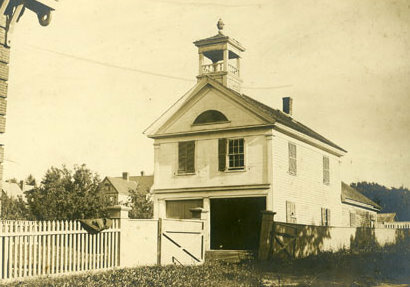 Photo circa 1930. The upper portion of the front tower is gone, and the rear tower appears to be completely gone. Photo circa 1917. The horse stables can be seen on the left with a roof deck. 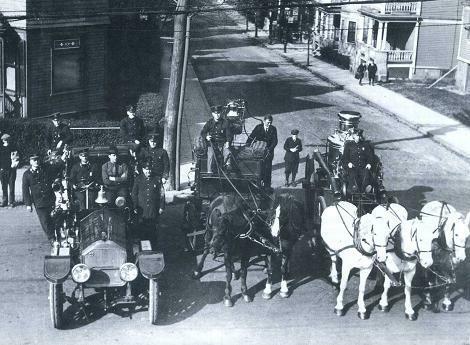 Photo taken on 10-18-1921, at the intersection of Chamberlain & Harvard streets, commemorating TE18's transition from horse-drawn to motorized. TE18 in 2011, right before we purchased it from a Church Group. 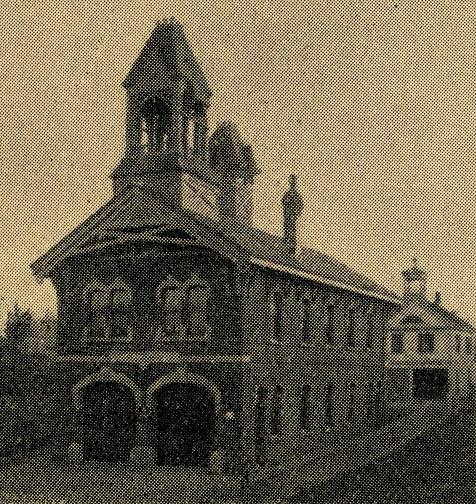 The Torrent Engine 18 Firehouse was built in 1869 as part of the Fire Department of the Town of Dorchester. 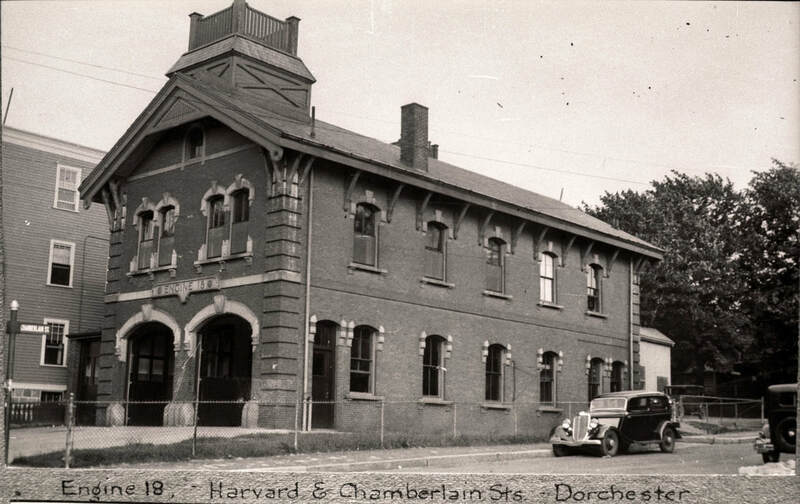 The firehouse is located at 30 Harvard Street, at the corner of Chamberlain Street, in the Four Corners section of Dorchester. 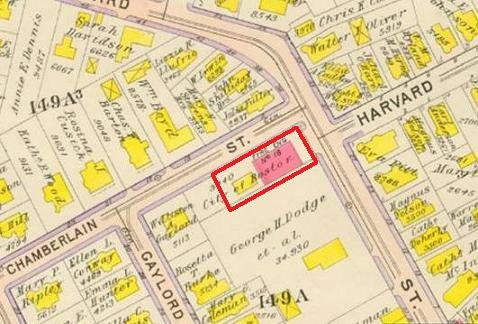 Upon annexation, Engine Company 18 of the Boston Fire Department was organized here on January 3, 1870. 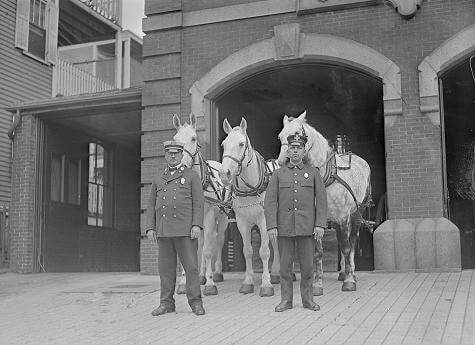 Earlier, on June 2, 1868, all fire companies were authorized to have a Name and Number, a practice that been used in years past. Thus Engine 18 became Torrent Engine No. 18. 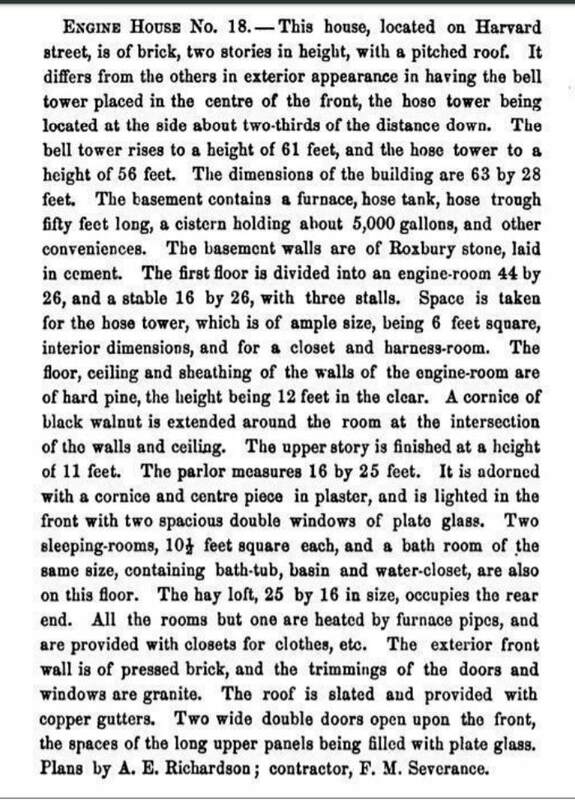 The name and number concept stayed in effect until 1873, when Torrent Engine 18 reverted back to Engine 18. 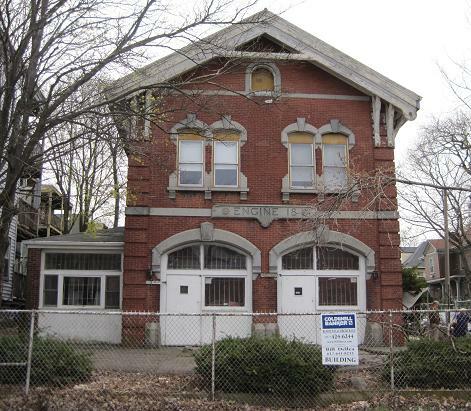 Engine 18 stayed there until June 11, 1960 when the company moved to 1884 Dorchester Avenue, Peabody Square, Dorchester, and the firehouse at 30 Harvard Street was closed. TE18 was sold, gutted, and remodeled for use as a pre-school/day care center circa 1970. It remained a prominent neighborhood pre-school/day care center for over 30 years. It was then purchased by a church group, who eventually resold it to us in 2012.